This monograph provides a careful review of the major statistical techniques used to analyze regression data with nonconstant variability and skewness. The authors have developed statistical techniques--such as formal fitting methods and less formal graphical techniques-- that can be applied to many problems across a range of disciplines, including pharmacokinetics, econometrics, biochemical assays, and fisheries research. 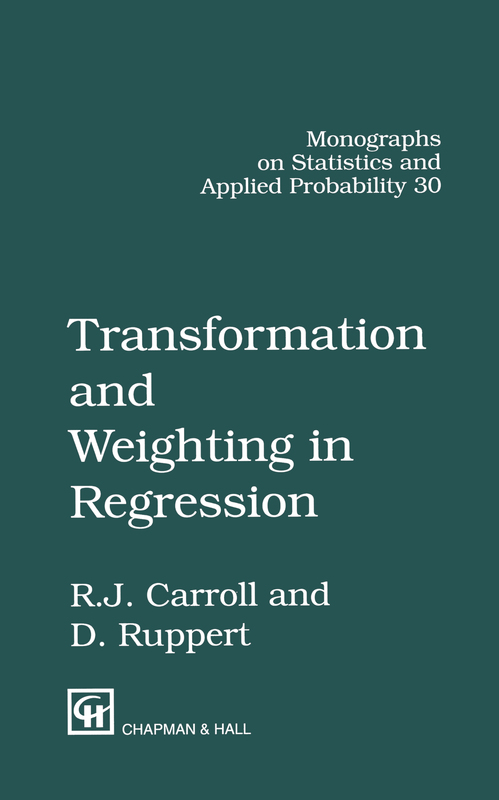 While the main focus of the book in on data transformation and weighting, it also draws upon ideas from diverse fields such as influence diagnostics, robustness, bootstrapping, nonparametric data smoothing, quasi-likelihood methods, errors-in-variables, and random coefficients. The authors discuss the computation of estimates and give numerous examples using real data. The book also includes an extensive treatment of estimating variance functions in regression.